Has anyone found the solution for the H3 oil light coming on in warmer weather? what are the biggest tires that will fit on a stock hummer h3 with the adventure package? 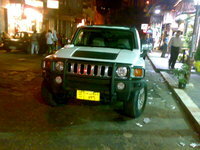 Like the H2, the 2007 Hummer H3 has only one engine option available, a 242hp, 3.7 liter, inline 5 cylinder. However, the H3 has received an additional transmission. Instead of just a 4-speed automatic, a 5-speed manual has been added as the standard transmission. Gas mileage for the 2007 Hummer H3 is pretty low, 15/19 miles per gallon. 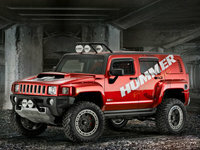 Smaller than the other Hummers, the H3 is a slightly more user friendly. 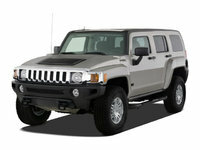 Most of the features available come standard in the 2007 Hummer H3. Air conditioning, cruise control, tire pressure monitors and a CD player are just a few of the standard features. The options include a CD changer, a navigation system and a sunroof. 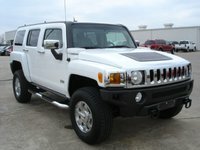 To keep you safe, the 2007 Hummer H3 has All-Wheel Drive, ABS, traction control and airbags. Certainly not as high end as the Hummer H2, the H3 is an excellent alternative if you need a more controlled Hummer. Owners of the 2007 Hummer H3 liked the SUV overall. A common request was for more power, perhaps a V6 or even a V8 available. Gas mileage was also a source of contention with owners. Many owners were surprised by the maneuverability and turning radius of the H3. Overall, this is a Hummer that is made for people who don't quite need a full-sized beast. It's been tamed a little bit, and some folks need a calmer ride.